The Greater Norwich Area Chamber of Commerce site is designed for members, the local community and any person who is considering relocating to the greater Norwich area. You will find listings for upcoming Chamber events, educational programs, a directory of members, community information and assistance in relocating your business and/or residence. 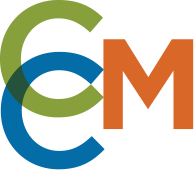 The Chamber is a collaborative of business and community leaders dedicated to securing and enhancing the economic vitality of eastern Connecticut. U.S. Monetary Policy, Economic Research & Data, etc. Environmental health inspections, infectious disease review and follow-up, health outreach and education, and public health emergency preparedness. The DVA’s new website has a clean user friendly interface, updated and more detailed information about the services, programs and benefits offered to Connecticut Veterans by the DVA and other agencies. Pay your Town Tax Bills online. PLEASE BE ADVISED: Any online payments made between December 7 through December 16 will not be cleared on this site until the week of December 17. If immediate DMV clearance is needed, do not pay online during these dates.